Purple is for boys too! I buy only the best for my dogs. Just about everything my pups have is Ezydog. I honestly have no reason to buy anything else. Well made soft but sturdy collar. Collar is holding up after being out in the elements!! 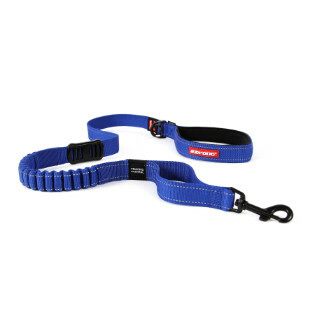 Collar is excellent quality like other Ezydog products I've purchased. The only reason I didn't give 5 stars is that although I'm pretty sure I ordered the correct size for my dog, when the collar is adjusted large enough to fit him, a third of the collar is black Velcro instead of blue neoprene. Absolutely love this collar. I bought three for my 3 dogs. Small, med and large. They look great, feel great and are affordable. I think even my dogs are proud to wear them. Highly recommend them. Ezy dog Neo Collars Simply Outstanding! What can you say about these collars that hasn't been said. We have been using these collars on our Labrador retrievers for the past 6 years. We recently purchase new ones the others are 6 years old and still in very useable condition. The new colors caught our eye and our Labs always get the best. Their old e Neo collars had been used by them for upland bird hunting, duck hunting in beaver ponds and dock diving competitions. We only occasionally washed them but they have little or no odor. The glo bands also help at night especially on our Black Lab. The neoprene is very friendly to your pups neck. Look no farther if you want the Best for your Pups! I love the fact that it is reflective. My dog is black and hard to see at night. 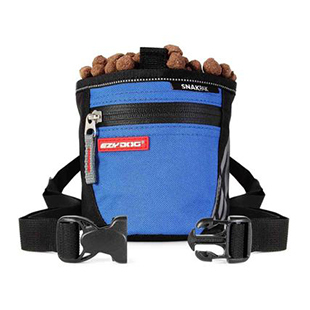 The quality is superb and it is comfortable for the dog yet extremely sturdy. After going through several I finally have THE collar that works for us. Will replace it as it wears, but it looks like that won't be very soon.